In the late 1970s problems of displaying back-lit panels in galleries and museums led to the creation of works that hang directly on walls. These sandblasted works trap and hold light causing the glass glow with an inner-luminosity like that of back-lit stained glass. 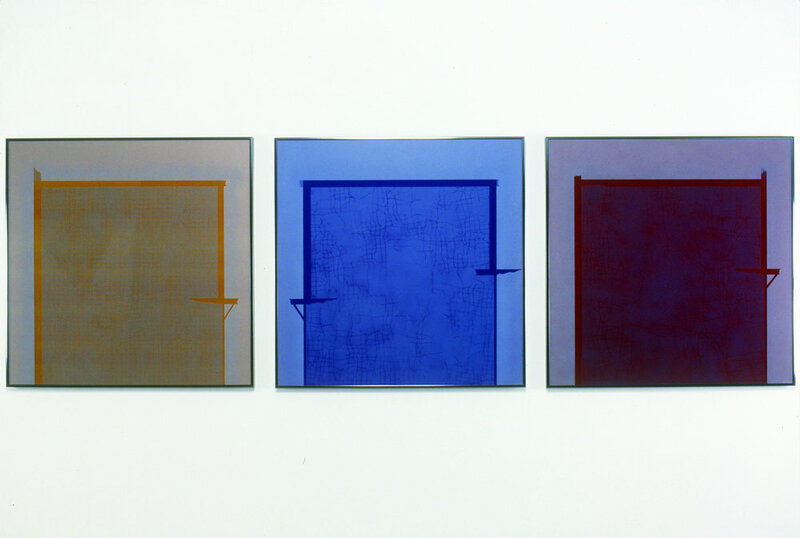 The pieces explored the subtle color shifts and surface stillness of glass, the medium. Tape and contact paper were used as drawing instruments to mask the sandblast.